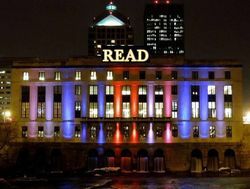 The Rochester Public Library Store is run by The Friends & Foundation of the Rochester Public Library and is located in Rochester, New York. Our mission is to serve you with the lowest price and best service in the marketplace and use the proceeds to benefit our local library system. Your purchase helps a great cause! Terms of sale for RPL Library Store 30 day return guarantee, with full refund including original shipping costs for up to 30 days after delivery if an item arrives misdescribed or damaged. Orders normally ship within 1-2 business days of receiving payment. We ship via USPS. Oversized items or special shipping may require additional fees.